Adding Built-In Download Manager with Accelerator with DownThemAll extension for Firefox. 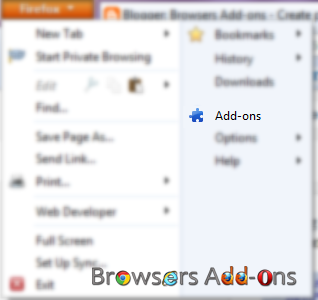 Adding Built-In Download Manager with Accelerator with DownThemAll extension for Mozilla Firefox. DownThemAll is add-on for Mozilla Firefox which can replace you existing traditional Firefox Download Manager with much more user-friendly UI with advanced features and built-in download accelerator which claims to increase download speed by maximum capacity. The best part of DownThemAll is with its built-in download manager you can download image, videos, links and other in bulk/batch wise. It has filter option which will help you sort file formats. Developer(s): Nils Maier, Federico Parodi, Stefano Verna. 1. 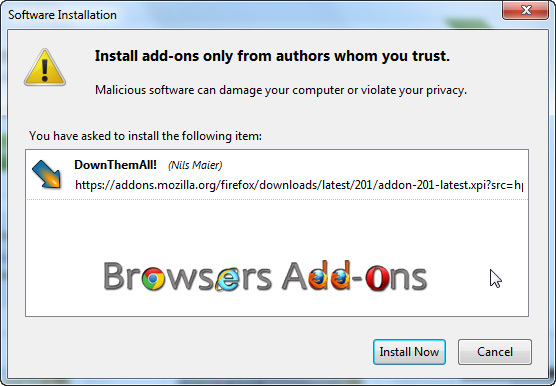 Go to DownThemAll Mozilla add-on page, or simply click on the above download link and click on “Add to Firefox“. 3. DownThemAll installation box pops-up. Click “Install” to continue installing add-on, “Cancel” to abort installation. 4. On successful installation, DownThemAll asks user permission to restart the browser. Restart the browser to activate the add-on. 1. On successful download, you will directed to DownThemAll page, where you can go through some tutorials. 2. 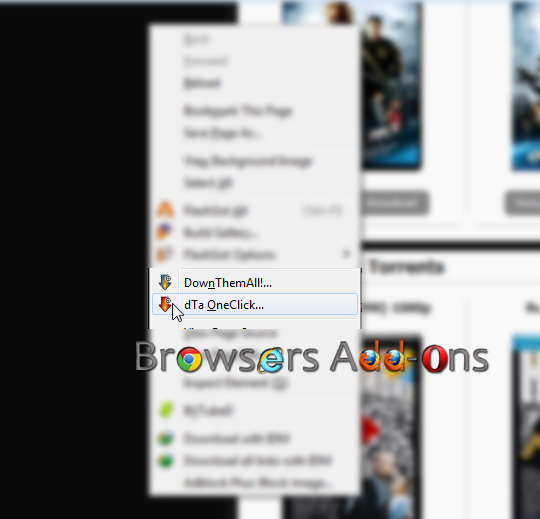 DownlThemAll can be used via two ways, one from the Tool Bar and other directly from the webpage by Right Clicking (RMB). To use from Toolbar you need to import (drag) DownThemAll icons from the Toolbar box ( Firefox > Options > Toolbar Layout… ) to bookmark bar. Where as to download from the webpage directly, right click (RMB) and choose your preference. 3. In order to download in bulk or batch, use “DownThemAll!…” option. It prepares, process links and start downloading in the manager. 4. If you wish to download single item, use “dTa OneClick…” option. Next story FlashGot, a Simple, Powerful Download managing addon for Mozilla Firefox. Previous story Mozilla’s Firefox OS to start European journey with Deutsche Telekom and Alcatel. QuickWiki Helps you Search Words from Wikipedia and Wiktionary Directly from Firefox.